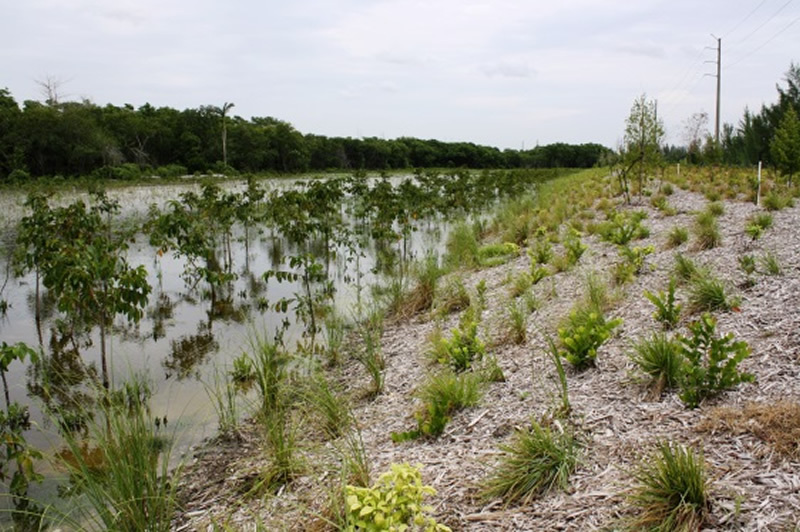 Project Size: 9,800 native plants in a 6.5 acre five community site including Keys coastal rock barren area and Upland Coastal Berm area. Project Purpose: The mitigation site was constructed for the Grassy Key Roadway Improvement, FDOT transportation project within Monroe County. 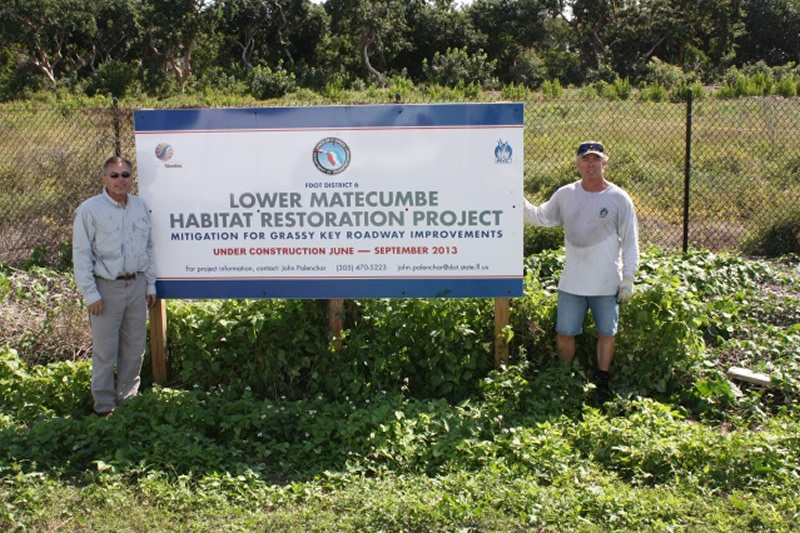 Everglades Restoration & Land Clearing (ERLC) began this project with the installation of FDOT silt fencing that was maintained for the duration of the project. In efforts to restore the 6.5 acre mitigation site ERLC ground all existing invasive vegetation throughout the site to grade. ERLC/AVC carefully worked around the mixed native/non-native areas by hand cutting and moving to the mulching area. Working in conjunction with Stantec. 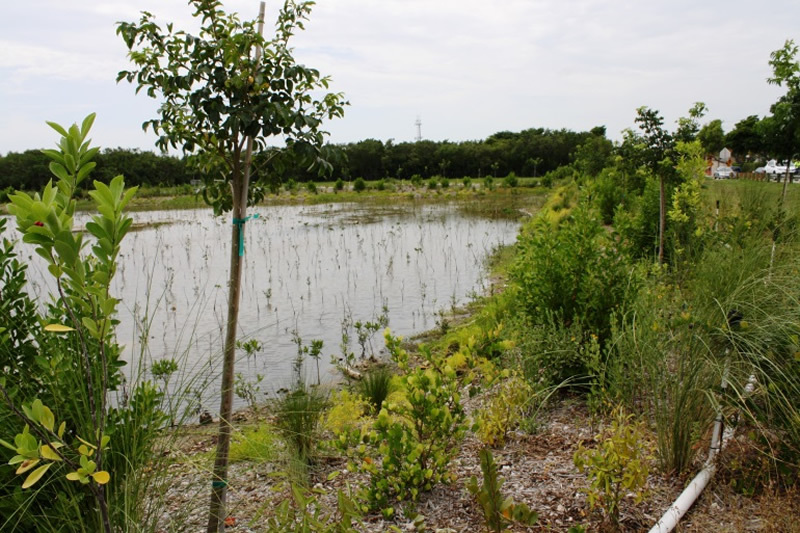 Aquatic Vegetation Control, Inc. (AVC) planted the 6.5 acre mitigation site with 9,800 plants according to the as built survey. The Stantec/AVC team worked together to maximize the amount of mitigation credits. The plantings ranged from 1 gallon to 7 gallon material grown at the AVC nursery (Martin County Farms) and other partner nurseries. AVC hand watered the planted areas until establishment. The project was maintained by AVC to insure a successful outcome. The ERLC/AVC team encountered two endangered plants and a lack of soil. We developed a plan to work around the endangered plants by roping off the “NO WORK” areas. We brought in sterile soil to help the plant roots establish and used the mulch from the grinding process to conserve water.